Motorcycle accidents are often more severe than auto accidents, as motorcycles offer riders much less protection in a collision. Unfortunately, you may become the victim of a motorcycle accident even when riding properly and following all traffic laws. 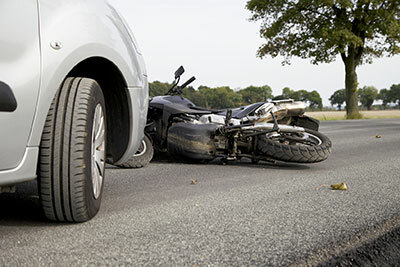 If you have been involved in a collision as a motorcycle rider, you should look for an attorney who understands the legal considerations inherent in such complex cases. This includes an in-depth understanding of the obstacles that you will likely need to overcome, as well as the ability to secure the compensation needed to recover from your motorcycle injuries. Attorney Teale is an avid motorcycle rider himself, and therefore has an excellent understanding of the many scenarios riders may find themselves in with other motorists. 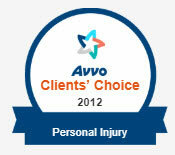 Attorney Teale has the experience you need to help get you the compensation you deserve. Call Teale Law today at 603-935-7425 to arrange for a Free Confidential Consultation for your motorcycle injury case. A common cause of motorcycle accidents is another motorist’s (usually a car) failure to observe the motorcycle. In is extremely important to learn and use defensive riding techniques when you are operating your motorcycle. Many motorcycle accidents can be avoided with common sense defensive driving techniques. However, many cannot. Cars may rear-end motorcyclists. Cars may cause a head-on collision with a motorcyclist. And often, cars will pull out in front of riders as riders are proceeding through intersections. About four out of every ten motorcycle-car collisions happen in when cars execute left-hand turns in front of motorcycle riders who are proceeding through intersections. Regardless of whether a motorist observed you or not, they may be at fault. 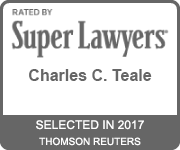 If you have been the victim of a motorcycle accident Teale Law will immediately go on the offensive, investigating the cause of the collision, working with law enforcement, and holding the responsible motorist and their insurance responsible for your injuries, including your medical bills, lost wages, and pain & suffering. It is safe to say that no amount of defensive driver training will substantially improve car drivers’ ability to see you on a motorcycle. Accordingly, to avoid accidents you must learn proper riding techniques and the major risk factors and common causes of motorcycle accidents when on the roadways (particularly when you are traversing an intersection). Wear a helmet: When involved in a motorcycle accident your chances of survival and of avoiding a serious bodily injury (such as a traumatic brain injury) are greatly improved when properly using a helmet. Statistically, riders who consume alcohol before riding are much less likely to be wearing a helmet. If you have been involved in a motorcycle accident, regardless of whether you were using a helmet, Teale Law will aggressively pursue your case and hold the liable party responsible for your damages. Avoid excessive speed: Your ability to react to other vehicles, road hazards and traffic conditions promptly is a key component to avoiding injury while enjoying your motorcycle. By reducing your speed and following speed limits you may be able to see and avoid accidents before they happen. This is particularly true in the event that another motorist negligently fails to observe you on your motorcycle. Don’t engage in lane-splitting/white-lining: Pursuant to RSA 265:121, lane-splitting or white-lining is illegal in New Hampshire. Lane splitting significantly increases your risk of being struck by a car or truck. Simply, you have much less room to maneuver when you are threading between vehicles, and you are much less likely to be observed by other motorists until it is too late. Learn how to ride safely and legally: About 25 percent of motorcyclists who are involved in accidents are riding their motorcycles without a proper motorcycle license (or any license at all). Training programs exist to help motorcycle riders become safer riders and to ride within the laws. Take advantage of them, and reduce your odds of being involved in a motorcycle accident. Learning to ride properly, defensively, and within the letter of the law improves your odds of avoiding collisions while riding your motorcycle. However, some motorcycle accidents are simply not avoidable. Therefore, another significant advantage of learning to ride defensively is to be sure you are not the liable party in a motorcycle accident. Furthermore, New Hampshire is a “modified comparative fault” state. This means that if a jury in a personal injury lawsuit that you are the plaintiff in finds that you were partly to blame for the motorcycle accident or damages, then your recovery for pain & suffering, lost wages, medical bills, and other monetary damages may be reduced (or precluded altogether) if the jury believes that you were more at fault than the other motorist. By using defensive motorcycle riding techniques and avoiding illegal or risky behaviors (I.E. drunk riding, speeding, lane-splitting, etc. ), the better your chances will be of receiving a settlement or a jury award that will compensate you for your injuries and the damage to your motorcycle and other property. It is important to obtain the services of an experienced lawyer immediately if you or someone you know has been injured in a motorcycle accident caused by the negligence of another. 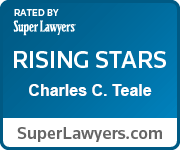 Call Teale Law today at 603-935-7425 to schedule your free consultation. We serve clients in Manchester, Nashua, Concord, Portsmouth, and throughout New Hampshire.